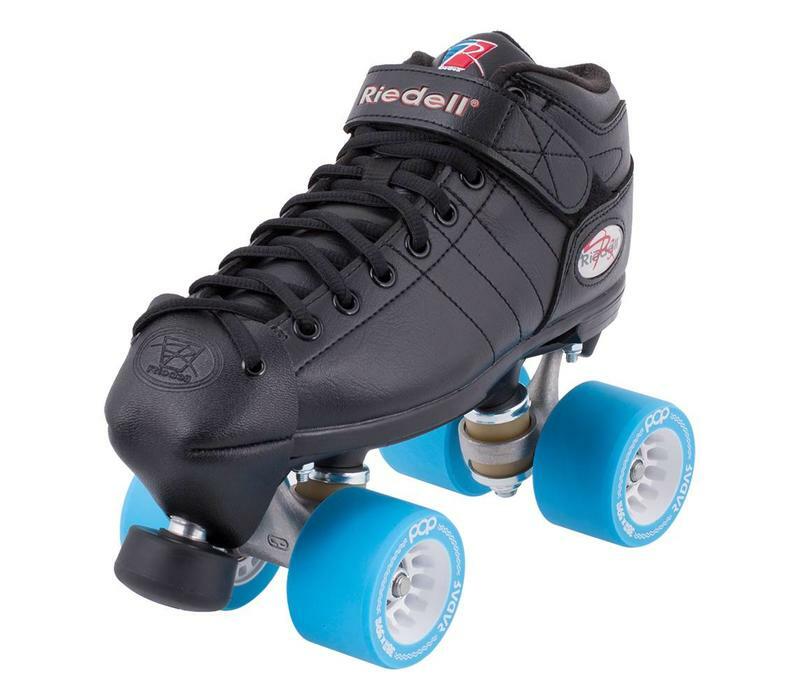 The Riedell R3 is a perfect beginner/entry level skate: decent roller skates to get you through your first year(s) of roller derby. 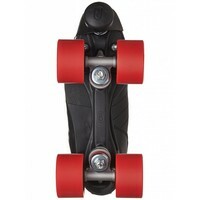 The complete package is a great setup, as this upgrade comes with Radar Pop wheels. 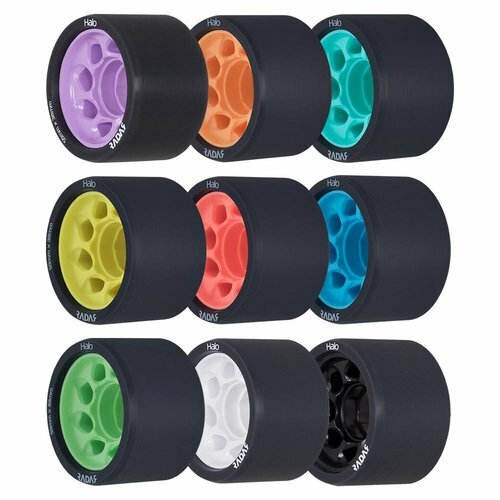 Those provide more grip and control than the standard R3 wheels - you will love the Pop wheels while learning your plow stops, crossovers and laps. 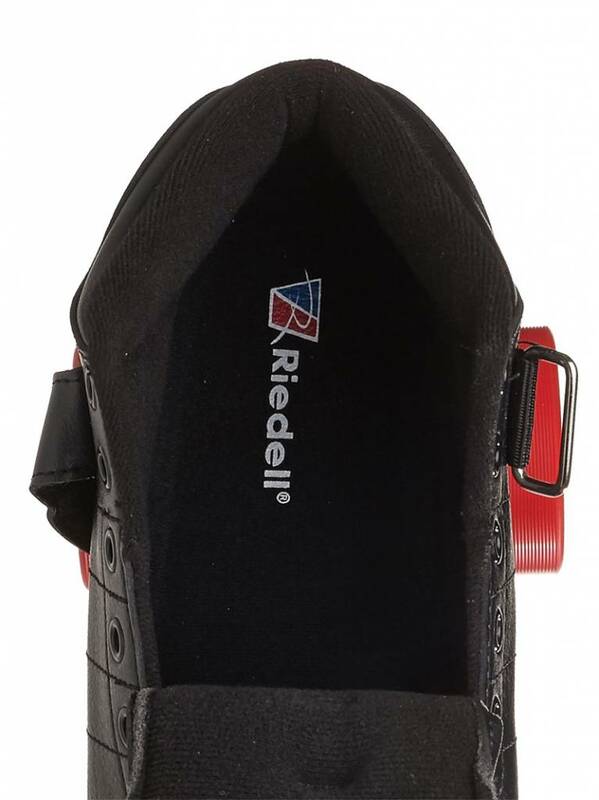 The toe cap that comes with the R3 Derby pack will protect the nose of your boots against abrasion. 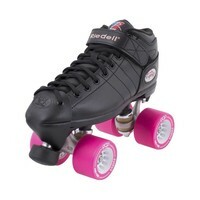 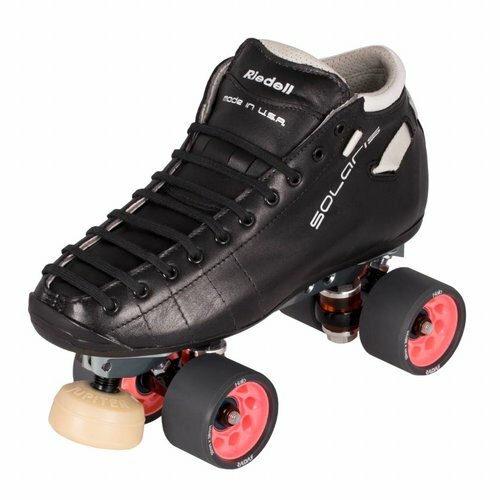 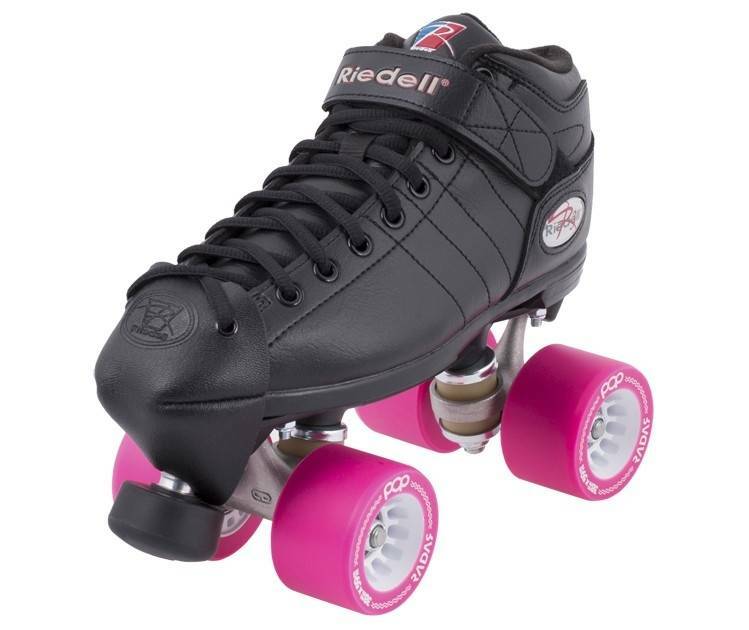 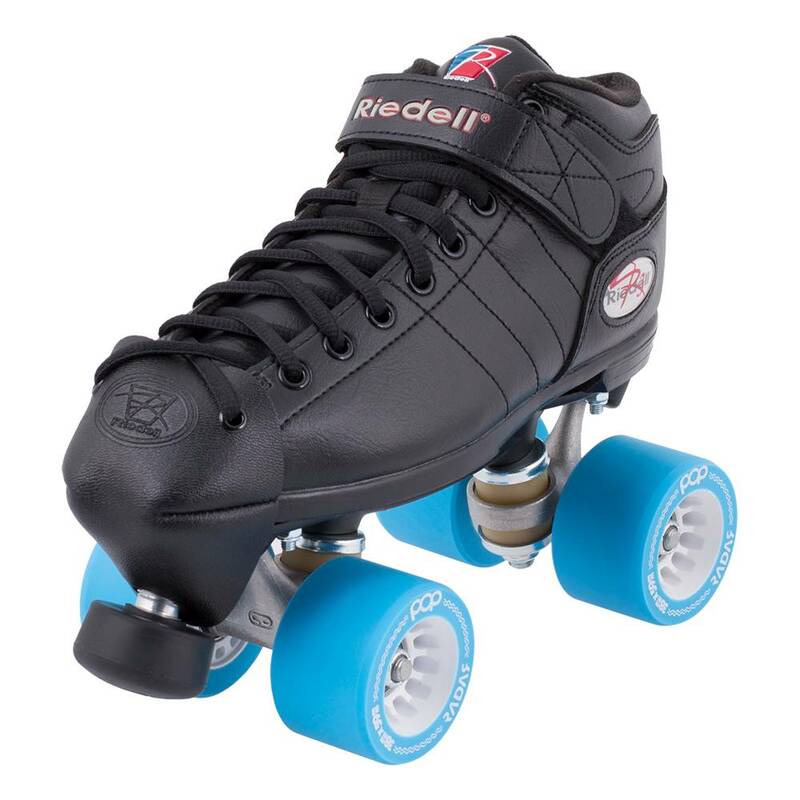 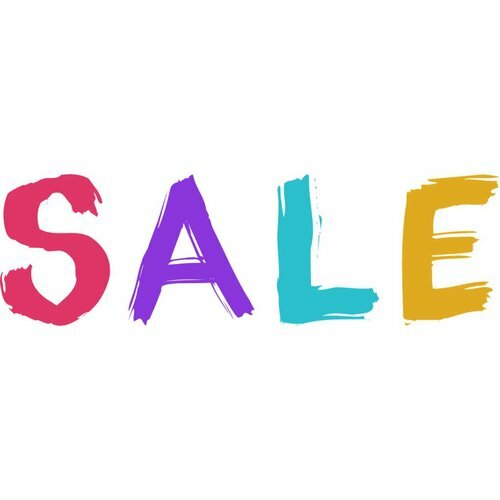 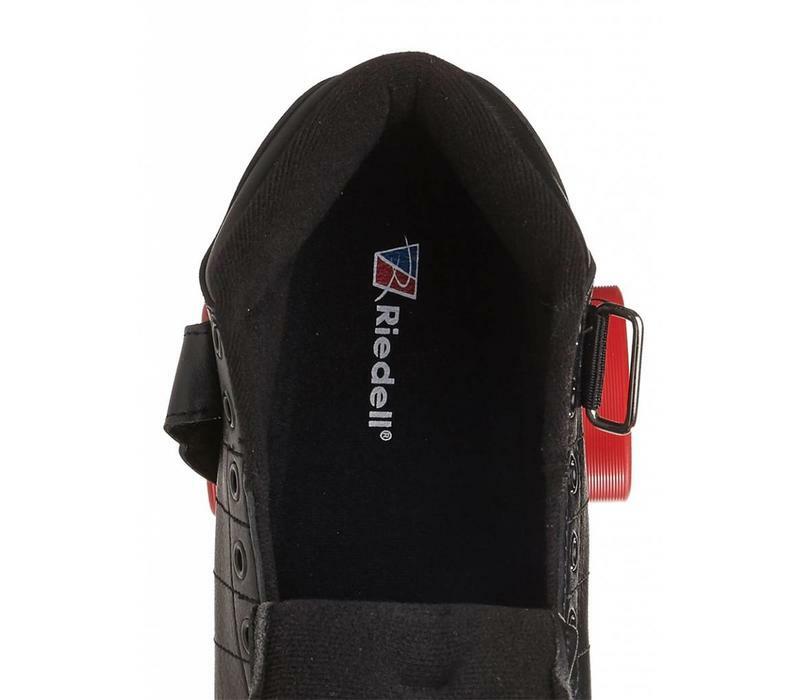 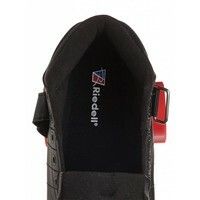 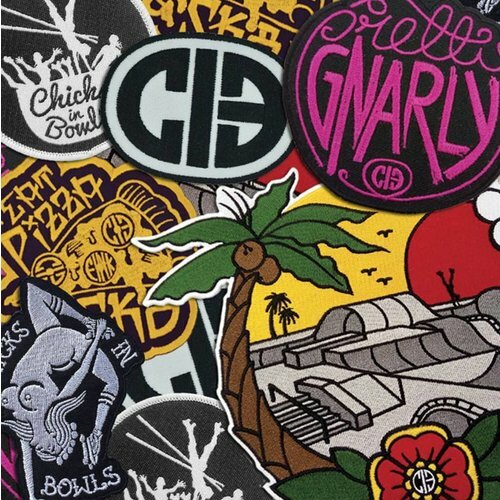 * If you use the Riedell R3 for Roller Derby, it won't last you a lifetime, but most skaters will easily get their first 9-12 months of skating (sometimes longer!) 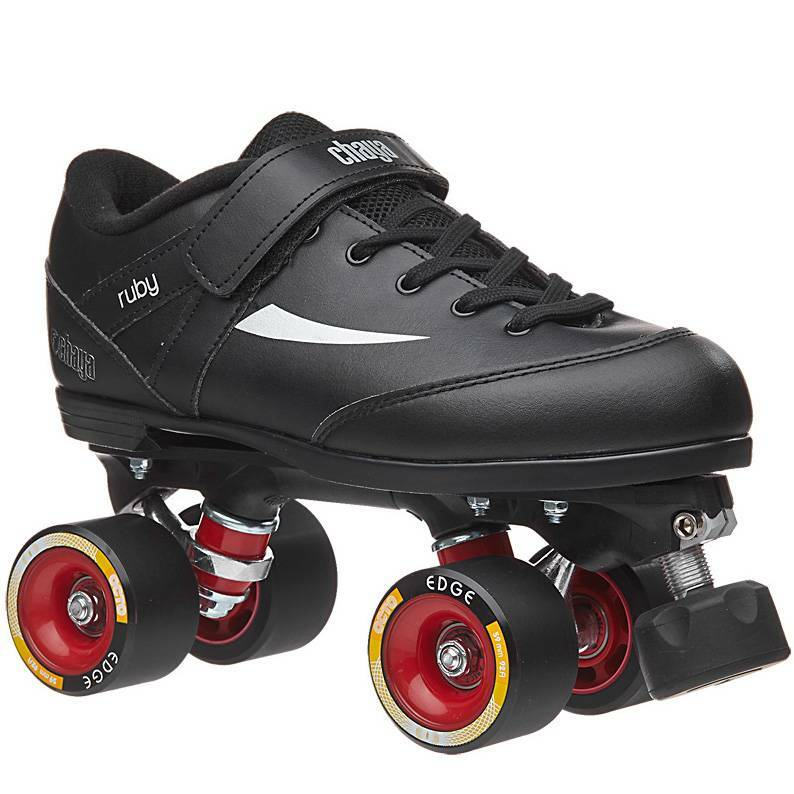 out of them. 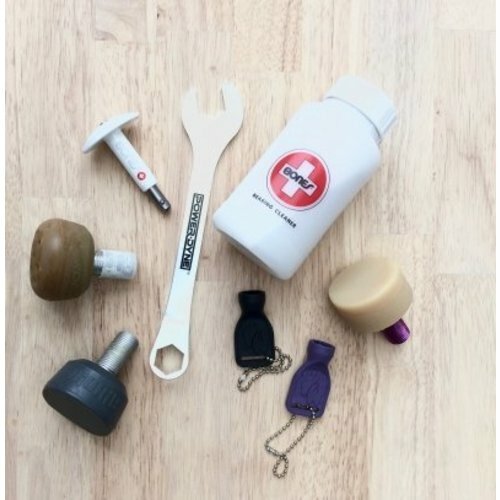 Perfect to nail your Minimum Skills and learn the game. 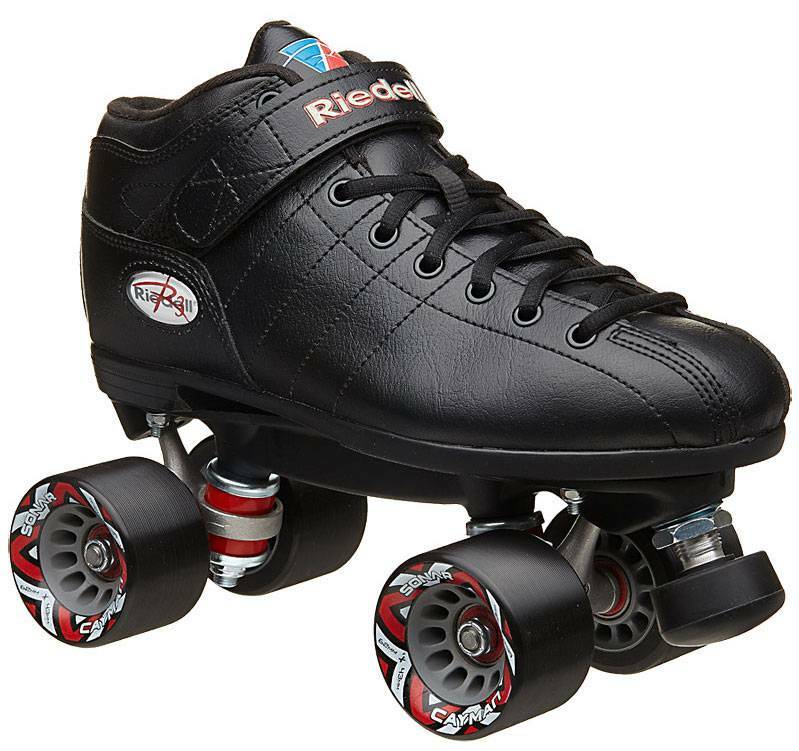 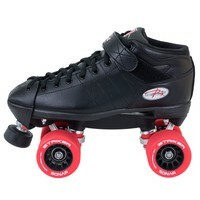 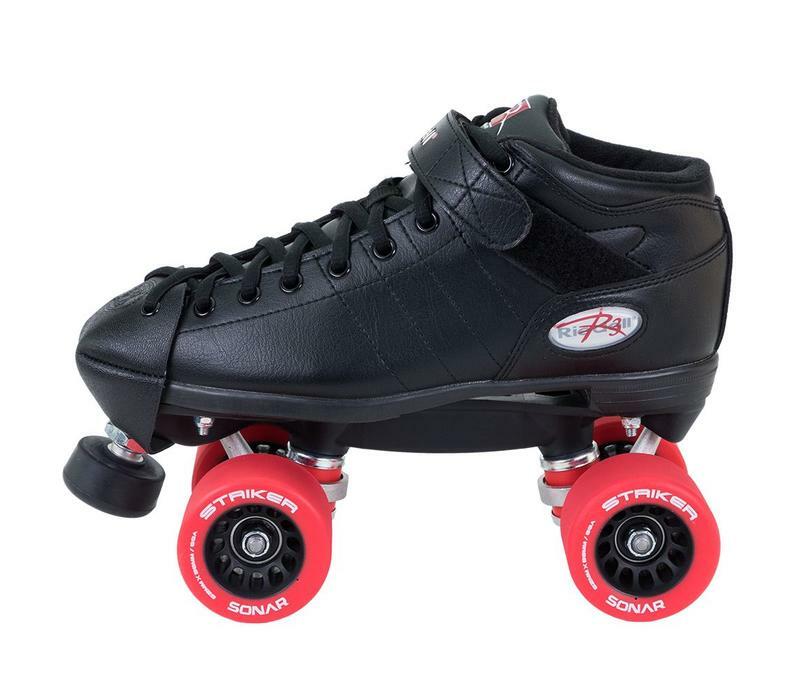 If you are going to use them for recreational roller skating, these will last you years to come. 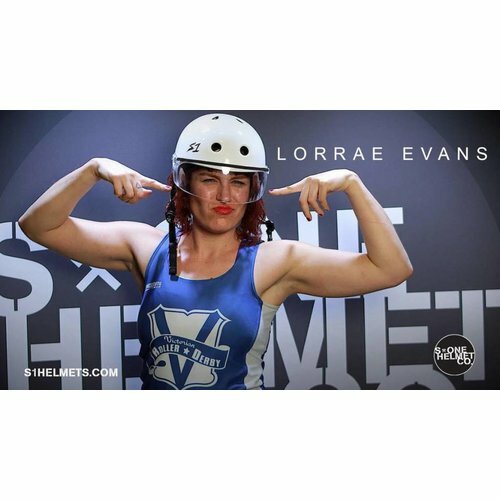 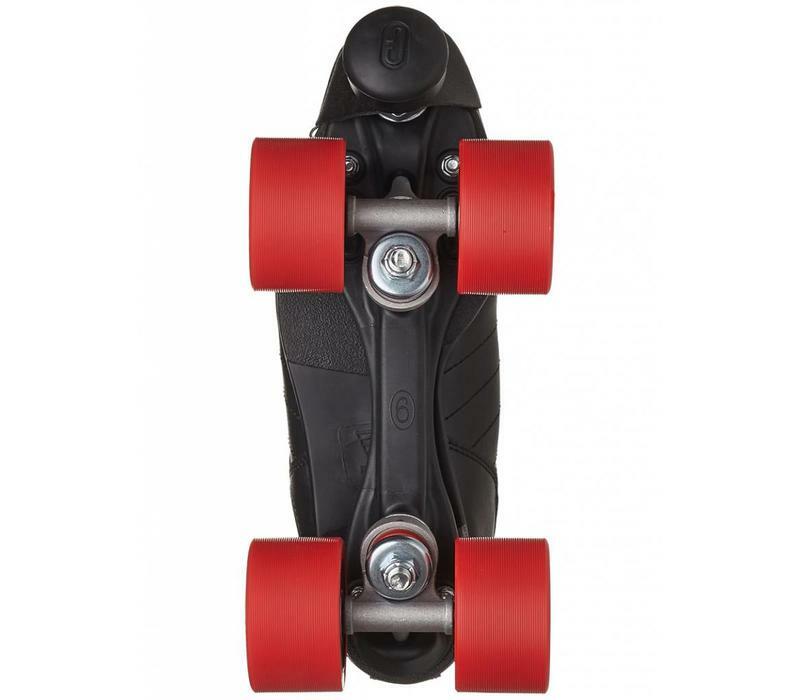 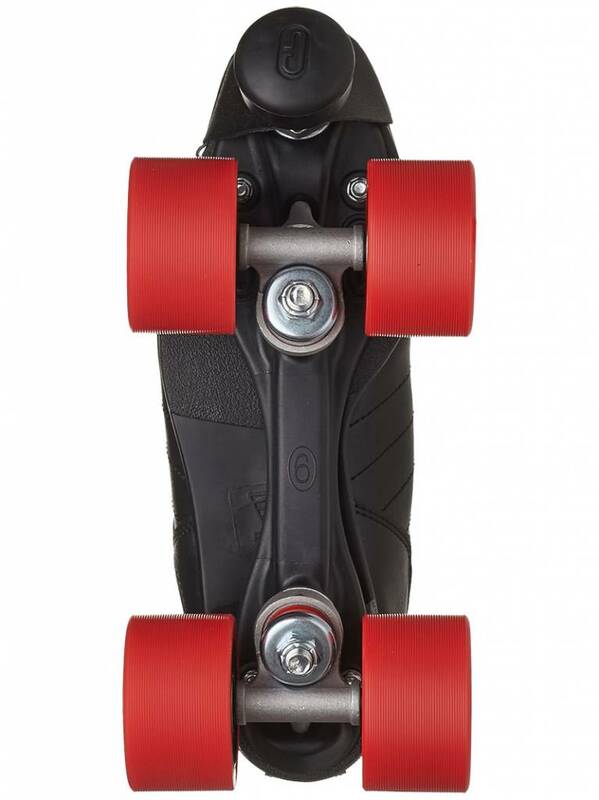 The Ruby is the entry level roller skate specifically designed for Roller Derby. 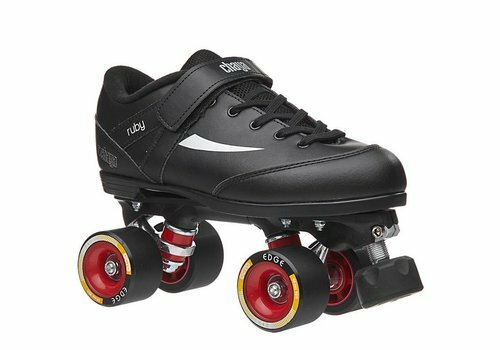 You will notice this in the comfortable yet supportive boot, the strong and responsive plate, and derby specific wheels and toe stops. 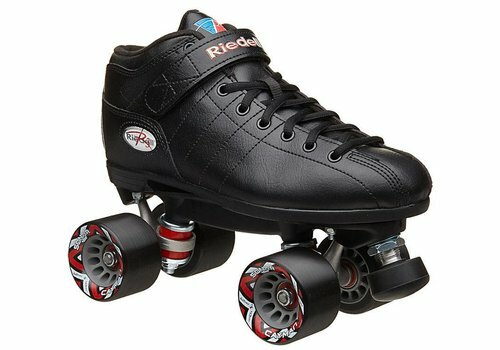 Roller Derby ready out of the box!